Bone Survives School Library Challenge! 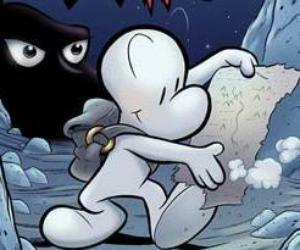 Twincities.com reports that the Rosemount-Apple Valley-Eagan school district has voted 10 to 1 that the graphic novel series Bone should not be banned in its schools. The graphic novel series came under fire earlier this month when parent Ramona DeLay objected to the series’ placement in the school libraries because it contains depictions of adults smoking, drinking, and gambling. The Comic Book Legal Defense Fund applauds the school district for the fair hearing Bone received, and its decision to keep the series in its collection.